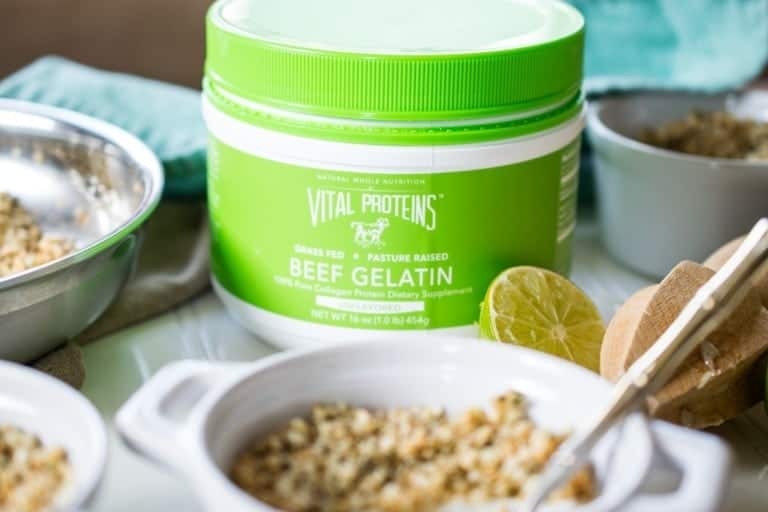 I’m super excited about partnering with Vital Protiens to bring you a bunch of recipes packing collagen! I love gelatin, yes I do! 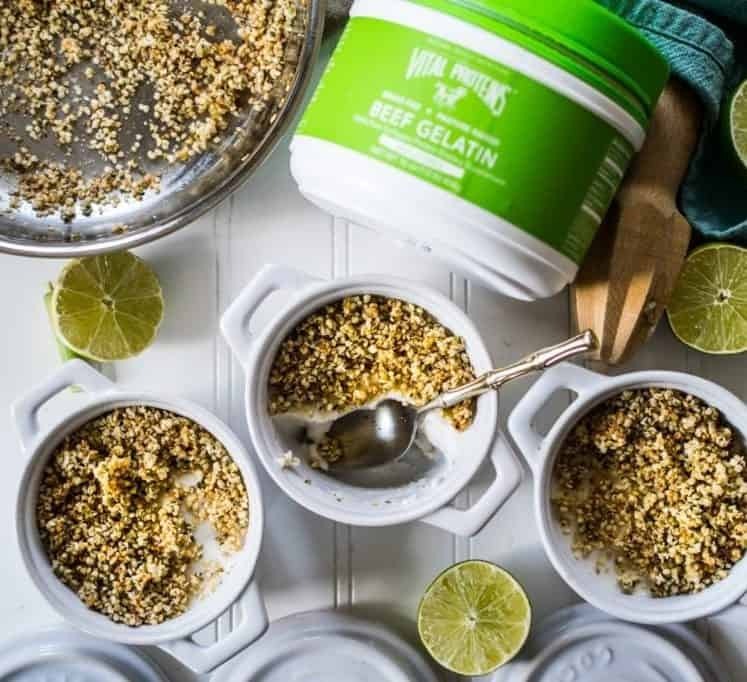 I have been using gelatin since the beginning of my healing journey to patch up that leaky gut, strengthen my nails and hair, and give life to my skin. The first time I heard of beef gelatin it was from my friend Heather. She loves to research things, so much so that she got a masters in being a librarian. Not sure what you call that degree. But, the girl loves to read. So she shows up to my house with two big tubs of this white powder. One water-soluble (collagen) and the other not (gelatin). She explained to me animal protein, like many things in nature, is meant to be consumed whole, as to say, while it can be inflammatory to consume too much, or poor quality animal flesh, consuming its bones and cartilage is equally anti-inflammatory. I thought that was totally rad. This was years before I’d actually go full-on paleo. That’s what I love about this paleo lifestyle, we’re eating food as it’s meant to be eaten. There is a natural balance of nourishment that comes with that. 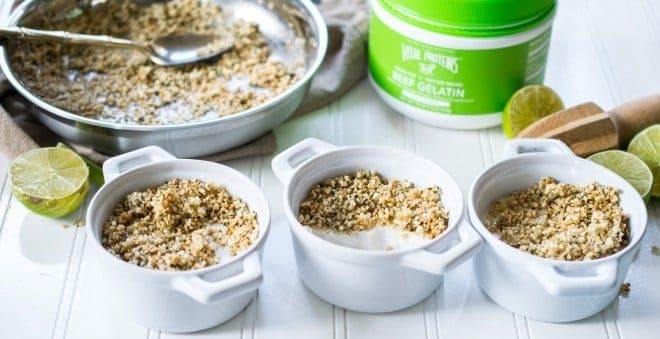 If you want to nerd out on all the benefits of gelatin, here’s a link to a page over on the Vital Proteins site, they’re the experts after all! BTW collagen is gelatin! But collagen peptides are hydrolyzed. They are processed more intensely and the protein is broken up into smaller pieces so it doesn’t gel liquid. Same amino acids, different chemical make up. Both super beneficial. 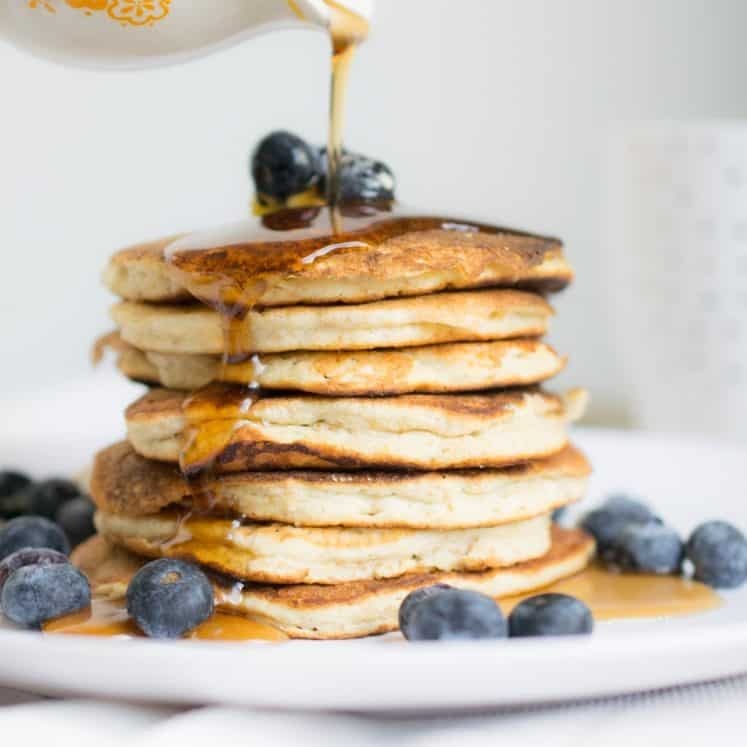 I love adding gelatin to my coffee in the morning, baked goods, like these keto cookies and of course I use it to replace eggs in this custard-like dessert! Pronounced po’ de kreme is just french for pots of custard. But come on… little pots of cream sound so much better than custard. When it comes to food… French definitely speak the language, of food that is. 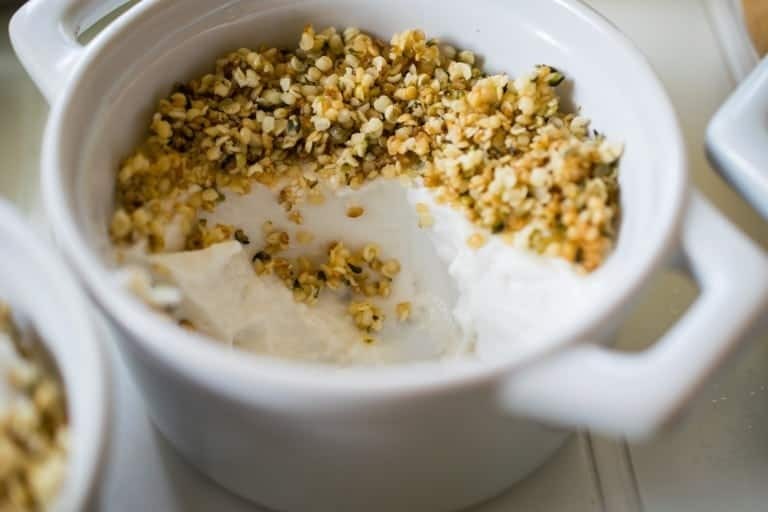 While pots de creme are usually topped with creme fraiche… I love the idea of creamy and crunchy. 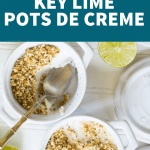 That gave me the idea for these key lime inspired little pots. 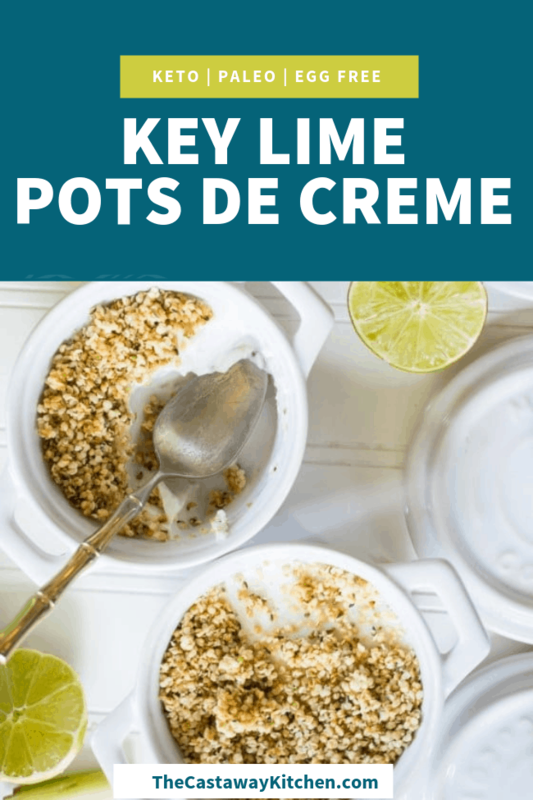 As a Floridian, I know key lime! 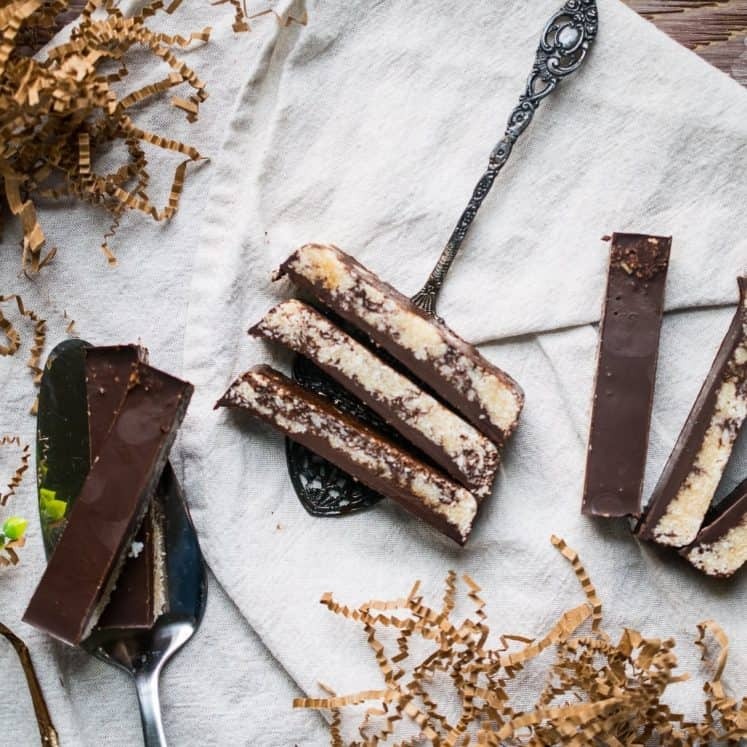 And this fresh and tangy no-bake treat is the perfect end of summer dessert! A luscious and fresh dessert! Heat a small sauce pot on medium-low heat. 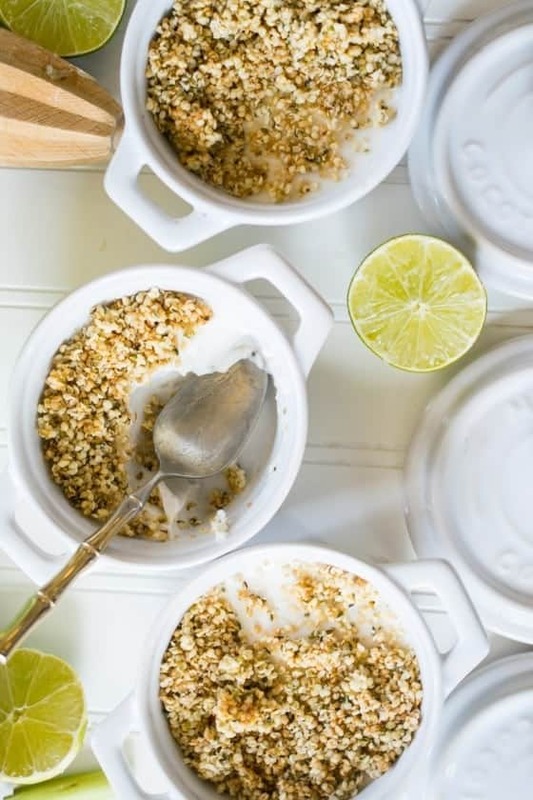 Pour the coconut milk into the pot and mix in half of the rind with the lime juice, vanilla extract, stevia, salt, and lemongrass stalk. Stir and let the mixture steep until the milk begins to steam. Remove the lemongrass. 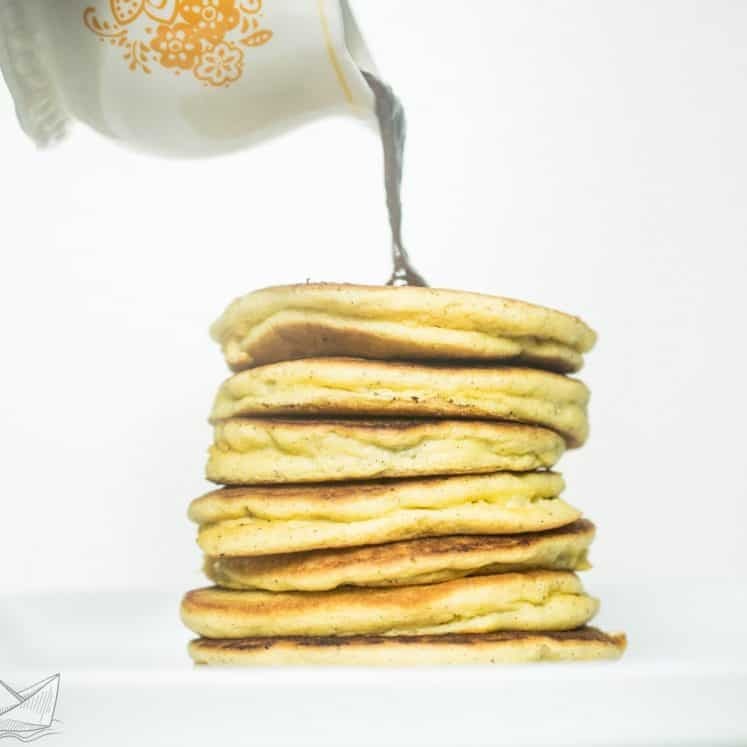 Sprinkle in Vital Proteins beef gelatin while you whisk the milk until it has fully dissolved. Remove the pot from the heat. Pour the mixture into three small ramekins through a fine mesh sieve. Refrigerate to set, about 30 minutes. In the meantime, make the hemp heart crumble. Heat a small skillet on medium heat. 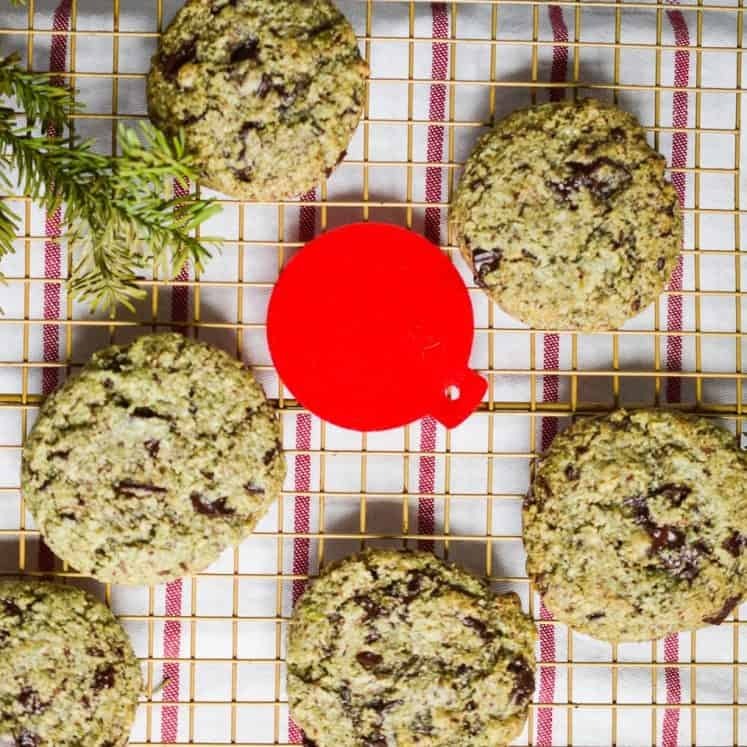 Combine the hemp seeds, the remaining lime rind, sweetener and a pinch of salt. Stir slowly for 5-6 minutes. The seeds will begin to toast. The mix will smell sweet and like popcorn. When you can see most of the seeds are toasted, remove from heat. Use a spoon to flatten the mixture and set under a fan to cool while the pots de crème finish setting. When they are ready, remove from the refrigerator. 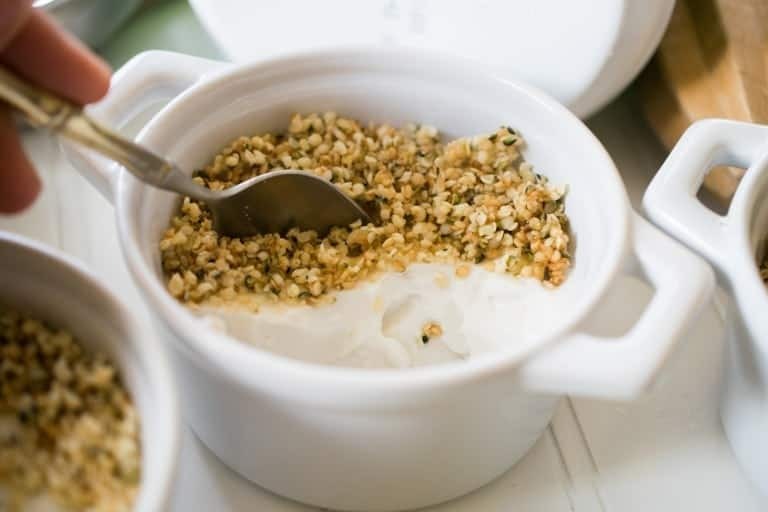 Use a spoon to break up the candied hemp seeds and sprinkle over the pots de crème for a crunchy, toasty, sweet crust! This recipe should be way more popular, it’s SO good! The hemp hearts alone are delicious. It was quick and simple and I loved that I didn’t need to fuss with a crust and what a create way to use gelatin. Next time I’m going to try it with vanilla bean. Love, love, love. Even the kiddo’s liked it! Hehe! I agree! Thank you so much!